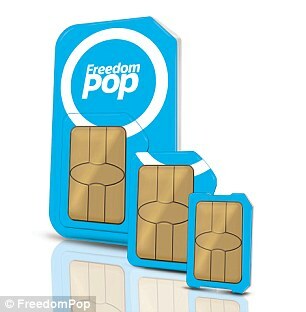 FreedomPop offer a free mobile contract (I say contract but you can cancel at any point anyway so it's not even a contract) within the UK. The free plan is basic - you get 200 minutes, 200 texts and 200 Mb but it's completely free each month, so it's ideal for those who don't use their phone excessively. All you have to pay is the one-off payment of £7.97 for the SIM / postage and activation, and thereafter you don't have to pay anything. They do also offer paid contracts which are pretty well priced. When you go through the checkout they will try and 'catch you out' by automatically ticking the boxes for a free trial of paid services that they offer, such as their Premium Voice trial. If you don't want these, make sure you untick these boxes along the way. On the final checkout page it will show you exactly how much your plan is going to be anyway (make sure it's the one called Basic 200 if you want the free one), so you can verify that you've selected the right options on this screen before you pay the £7.97. In any case, if you do sign up for any of their free trials you can cancel at any point. Like I say, excellent deal for those who don't use their phone a great deal, and even if you want a paid contract with them they're very cheap. Sounds good - first free mobile provider I've heard of since the unfortunate demise of Ovivo. Any idea what network they piggy back off? They use 3 Mobile's network. I haven't had any issues with coverage whatsoever. Nice. Been looking at some reviews and they don't sound too bad.